Lex Loves Couture 1 Year Anniversary! 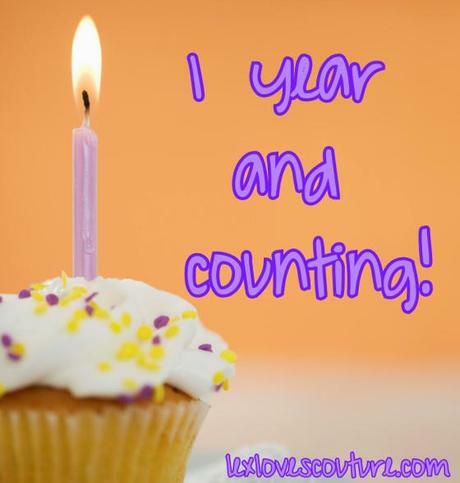 One year ago today I decided to take the plunge and start this blog. I have always been the go to for my friends and family when it came to fashion and beauty advise, but I was not sure if my advise would be relevant to a mass audience. Finally, after going back and forth for nearly a year I decided to push my insecurities aside and take the plunge. I can honestly say that it was one of the best decisions I made in my life. Lex Loves Couture has given me a creative outlet and a sense of purpose that I desperately needed. It has given me the opportunity to share my “wisdom” with people I may never have the chance of meeting. This blog deepened my love for fashion and beauty and has made look at both in a whole new way. I did not start this blog with any big goals. My only real goal was make sure that people knew about it and were reading it. Obviously, as the blog gained recognition my goals shifted a bit, but to this day my main goal is still expand my readership. Knowing that anyone is taking five minutes out of their day to read one of my posts gives me the greatest satisfaction. I love when I see that someone in Ukraine, India, the United Kingdom, etc have read my posts. It shows me that if I keep doing what I am doing who knows where I will end up. As far as first years go, I could not have asked for a better year. I have gained a good following that is continually growing. I have gone to amazing fashion and beauty events. met some interesting bloggers through my Style Spotlights, and had some great opportunities come my way through Public Relation companies, became a Lucky Magazine contributor, and that is just to name a few. I want to thank my readers, my family, and friends for being the most encouraging support I could have asked for. This has been an amazing year and I am so excited to see what next year has in store. One year and counting fashionistas! Thank you for reading!